How can youth and volunteerism advance innovation and development processes? 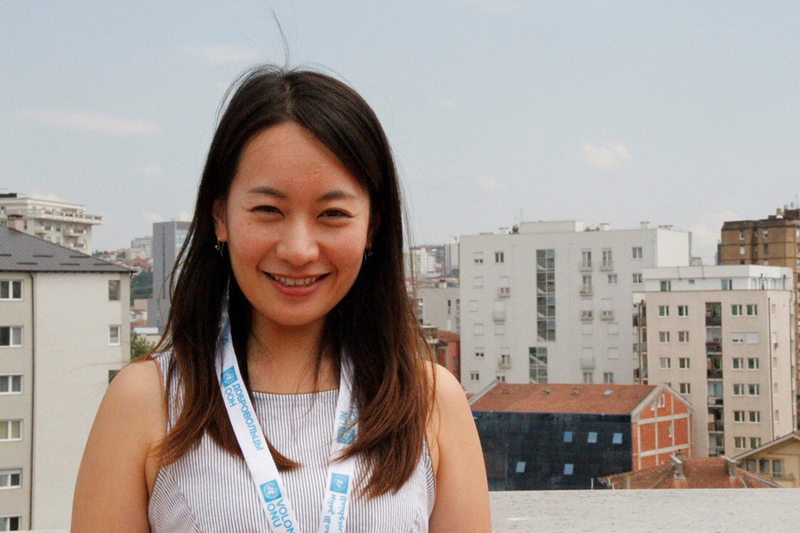 Learn from the experience of Hyeon-Soo, UN Youth Volunteer, serving with UNDP in Kosovo. Hyeon-Soo Jeon at the UNDP premises in Pristina, Kosovo (as per UN Security Council Resolution 1244). During her assignment, Hyeon-Soo was tasked with finding effective solutions and innovative approaches to UNDP’s development processes but was involved in other initiatives as well. As part of the innovation team, through a combined effort between UNDP and a local NGO called “Fondacioni Jeshil”, Hyeon-Soo facilitated a crowdfunding campaign to support an ecological method called Permaculture (derivation from the words permanent and agriculture). The permaculture project aims to rectify human-made damage to the environment, developing ecological, efficient and productive systems that anyone can use and sustain in communities, households and/or families without damaging nature. Hyeon-Soo and the team ran a campaign that managed to secure 90 percent of the funds that were intended for the initiation of the project. Hyeon-Soo’s interest in ethnic minorities and their social inclusion also led her to get involved in the design and development of a survey targeting marginalized ethnic minorities of Roma, Ashkali and Egyptians (RAE) in Kosovo. With the help of two Roma consultants, she collected data on every aspect of RAE human development, such as basic rights, health, education, housing, employment and standards of living. This survey was the first major collection of data about the RAE community in Kosovo, and will help institutions, civil society and international organizations develop policies and design solutions for this community. Hyeon-Soo graduated from Lund University in Sweden, majoring in international development and management. The deployment to Kosovo seemed like the perfect chance for her to be exposed to an international environment and a new culture. She has now been serving as a UN Youth Volunteer for almost a year and a half. Her UN Volunteer assignment in Kosovo has ignited a strong curiosity about the world, and a desire to work internationally helping those in need. * All references to Kosovo should be understood to be in the context of UN Security Council resolution 1244 (1999).